Peter Brane married Elizabeth Ritchie in 1837 and was the father of 14 children. 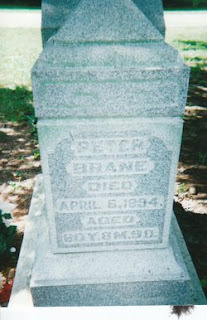 Today would be Peter's 197th birthday. How mind boggling is that? Find A Grave Memorial found here.